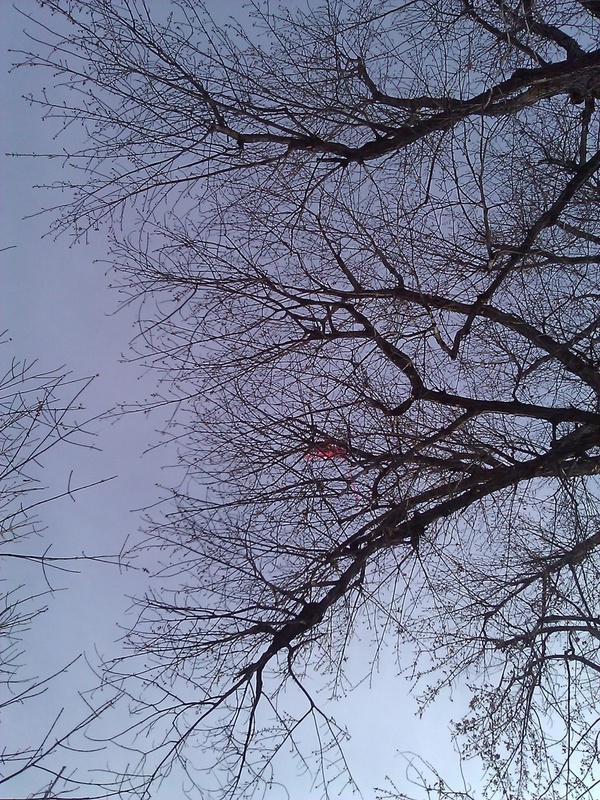 I’m sorry for whoever lost their kite, but it looked pretty neat up there. 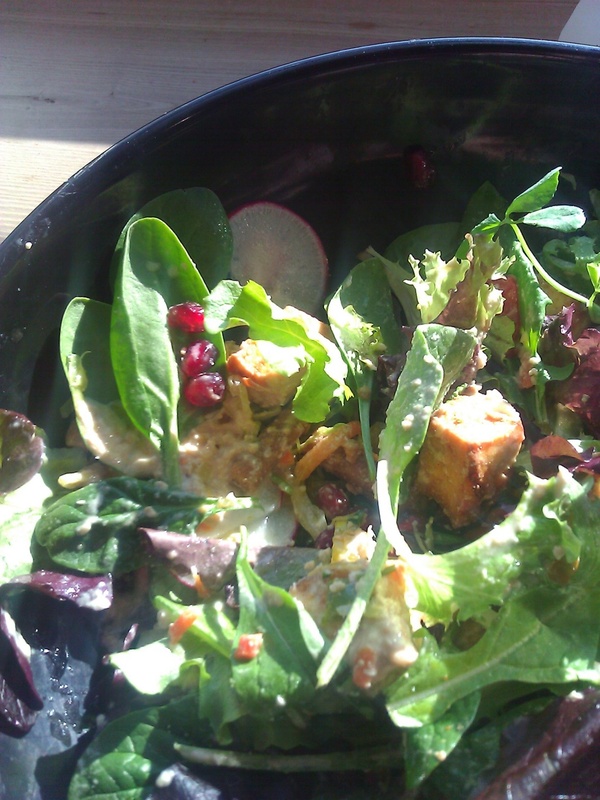 Lunch was this delicious salad from Whole Foods. I’m obsessed (and, seriously, I mean obsessed. It’s my happy place) with the Whole Foods salad bar on Pearl St. in Boulder. They always have the best dressings, and banh mi chicken, and several types of tofu, and…I could go on. This was a new dressing (or at least one I’ve never tried before) and I’m pretty sure it was something like this. And look at those beautiful pomegranate seeds! They sure know how to make a girl happy. 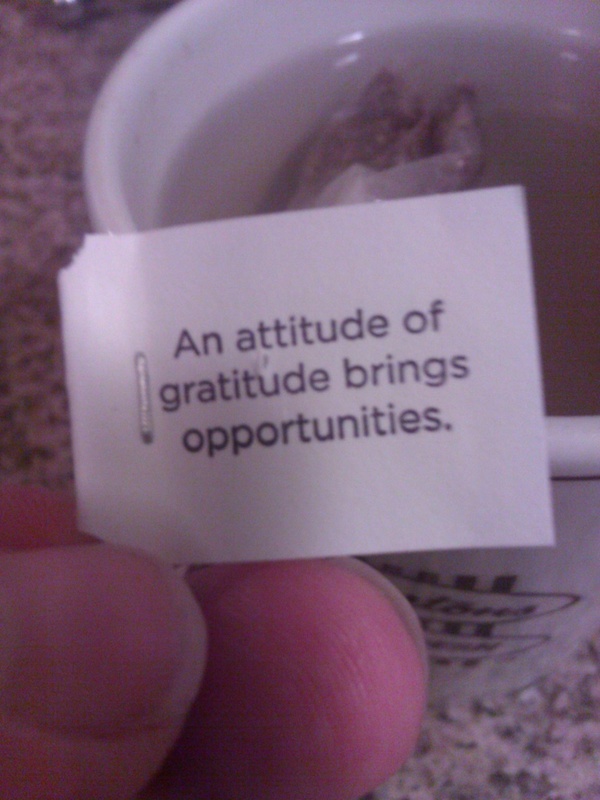 I love when my tea gives me advice. Yogi teas are my lifeblood. I’ve been hooked on Detox lately. I decided today that I’m going to set a goal of not doing anything that’s bad for me. Now, that may sound severe and unattainable, but really, it’s not, if you think about it — because what’s really bad for you? Overindulging, putting chemicals in your body, not moving enough — of course, those we all know and remind ourselves of constantly. But what about…beating yourself up mentally? Overcommitting yourself? Dating someone you know is wrong for you? Allowing negative thinking to take over? Not taking enough naps? Not taking enough vacations?? Not eating enough chocolate!?! ?